Neville Gafà – a member of the Labour Party's executive – has been given duties at the Office of the Prime Minister's customer care unit but is receiving a salary as a manager at the Foundation for Medical Services. His remuneration is much higher than his colleagues at the OPM are earning, the Times of Malta is informed. His remuneration is much higher than his colleagues at the OPM are earning, the Times of Malta is informed. 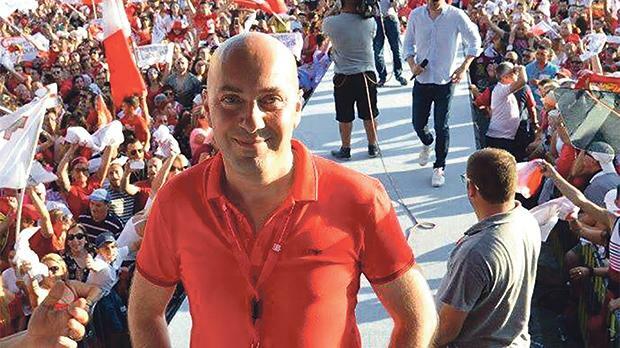 OPM customer care officials, who contacted Times of Malta, said it was not fair that while they were carrying out the same duties as Mr Gafà, they were receiving less than half his remuneration. “Since the last election, Mr Gafà has joined us at Castille but kept his €45,000 financial package. This is not fair as he should not be privileged just because he tends to go around with some of the Labour Party’s top shots,” they insisted. Questions sent to Health Minister Chris Fearne, responsible for the foundation, to explain how Mr Gafà was working at the OPM when he was supposed to be an FMS projects director remained unanswered despite repeated reminders. However, when the Times of Malta contacted the OPM and asked for Mr Gafà, he promptly answered the phone. Asked to state how he was working at Dr Muscat's office while keeping his salary as FMS director, Mr Gafà requested questions to be sent by e-mail. “I promise that I will give you a reply shortly,” he said, while insisting he would not give any particular details on the phone. Mr Gafà has so far failed to reply to the e-mailed questions. Following his engagement as a person of trust by the then Health Minister Konrad Mizzi at the FMS in 2014, Mr Gafà was later transferred to Gozo following investigations by the police over claims that he was involved in bribes connected to the issue of medical visas. Mr Gafà has denied the claims but the police insist that they are still investigating the case. At the same time, the police presented criminal charges against the Libyan national who made the claims against Mr Gafà. Mr Gafà’s contract with the FMS shows that apart from a basic salary of €30,000, the former shop assistant was given various perks, boosting his total income to €45,000 a year. Although his three-year contract came to an end in April, the Health Ministry would not confirm that Mr Gafà’s contract has been extended by a further three years. Also, it is not yet known whether Mr Gafà’s conditions have been improved further. Despite being a projects manager, Mr Gafà’s contract does not state which FMS projects falls under his responsibility. The OPM’s customer care unit is staffed with persons of trust, normally close to the Labour Party. Except for Mr Gafà, all the other members of the unit are put on low grades earning less than half Mr Gafà’s remuneration.